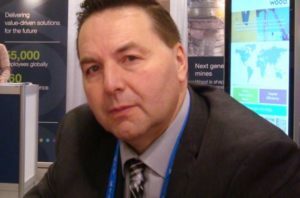 During the recent PDAC Conference in Toronto, Resource World Magazine had a chance to interview Wally Schumann, Minister of Industry, Tourism and Investment, as well as Minister of Infrastructure, Northwest Territories. RESOURCE WORLD: With only 44,000 people living in the Northwest Territories, I would think you would like to attract high revenue generating industries such as mining. WALLY SCHUMANN: We would like to. We’re a territory in Canada that’s built on mining. Mining has a long history in Northwest Territories. Many years ago, it started out with gold resource-based operations and now we’ve moved to diamonds with three of the world’s largest diamond mines in the world. RW: Does Yellowknife and other centres offer services for offer mineral explorers such as helicopters, camp services – all the things that explorers need? WS: We certainly do. Like I said, we have a long history, but when the first time a mine opened in the Northwest Territories, that was north of Yellowknife in the Slave geological province area. For access to that area, you need all of the resources to be able to get out there. It’s a winter road system to get all your large stuff out in the winter. We have Hercules aircraft that would help haul stuff out there. We have a number of companies that support mining around camps and exploration and such. They’ve grown into companies that now look after the three diamond mines. RW: There’s a lot of interest in energy metals like cobalt. Would you say that the Northwest Territories is prospective for some of these energy metals such as lithium and cobalt? WS: When I talk to people, I talk specifically about the resources we have in the Northwest Territories and cobalt is one of them that we definitely have. The Fortune Minerals Nico Project, which they are presently trying to get up and running, has a significant amount of cobalt. There’s been a number of findings on the Slave geological area of the NWT and that’s why we continue to push for the federal government to invest in infrastructure so we can access they types of base metals for the green economy. ED: That leads to my next question. I’ve been to the Northwest Territories a number of times and I’m aware of the lack of infrastructure. Does your government have any specific plans to improve infrastructure that would benefit mineral explorers and miners? WS: As of today, we have conditional approval on the Tlı̨chǫ all-season road that will provide access from Highway 3 west of Yellowknife to the community of Whatì. It will go up to the centre of the territory. It won’t be specifically for the Nico Mine but goes up towards their district. Then there is the MacKenzie Valley Highway which will go to Norman Wells. There’s a huge mineral potential out there that’s never been touched. We also have infrastructure plans for the Slave Geological Province which would line up particularly with the Nunavut infrastructure and the Grays Bay Road. [The 227-km all-season Grays Bay Road and Port Project (GBRP) is a transportation system that, once completed, will connect the rich mineral resources of Canada’s Slave Geological Province, which straddles Nunavut and the Northwest Territories, to Arctic shipping routes.] This will open up a whole region of Canada to mineral potential that I always said would be a rival to the Ring of Fire in northern Ontario. RW: Do you have any other government programs that could benefit mineral explorers? WS: We have a lot of mining programs in NWT to help support that. In the budget last year, we put some more money in the MPI (Mining Incentive Program) fund to help mineral exploration. It’s always oversubscribed and we’ll continue to monitor to that point going forward. It’s leveraged a lot of dollars to help explorers in the Northwest Territories. The other thing that we’re doing is re-writing our mineral resource act that came through devolution in the last government in 17th assembly.